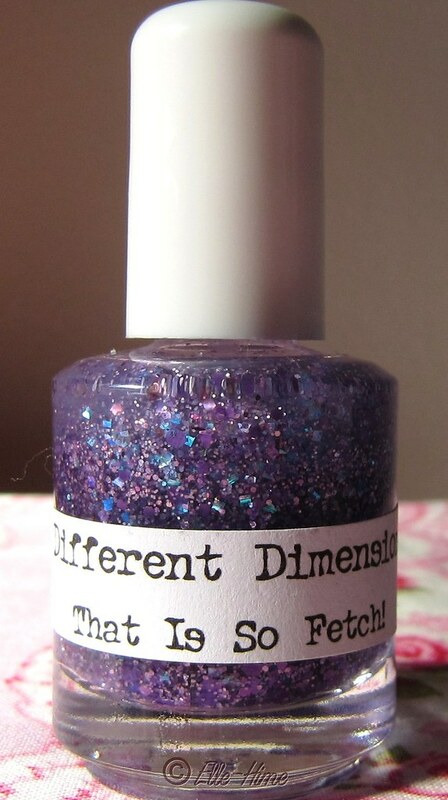 Princessly Polished: Different Dimension - That Is So Fetch! Have you ever been on the fence about something that a lot of people say is great but you aren't sure you really need it? So you almost don't get it? I was that way about Different Dimension - That Is So Fetch! I'm drawn to purple nail polishes. That means I have several purple glitter polishes already, and I almost didn't get this one. Finally I told myself that I would use it, so I should add it to my collection. I'm so glad I did! LOOK AT THAT GLITTER! Click the picture to see it up close! This polish has purple hexes and smaller purple squares, small holographic lavender hexes and teeny lavender glitters. The iridescent squares flash sea green and blue in the bottle, and on my nails they would show a grass-stain green, as well. It ends up being a colorful polish for one that has so much purple in it. I was very happy with the concentration of glitter that I got in just one coat. It spread evenly. I put 3 coats on my ring finger as an accent and left my other nails at one coat. The polish was quite thick on the nail at 3 coats but it still spread easily. After 1 layer of top coat I didn't have any noticable texture on my nails. I noticed a similar looking polish recently added to the etsy shop. It is called No More, half of the proceeds of which will be donated. 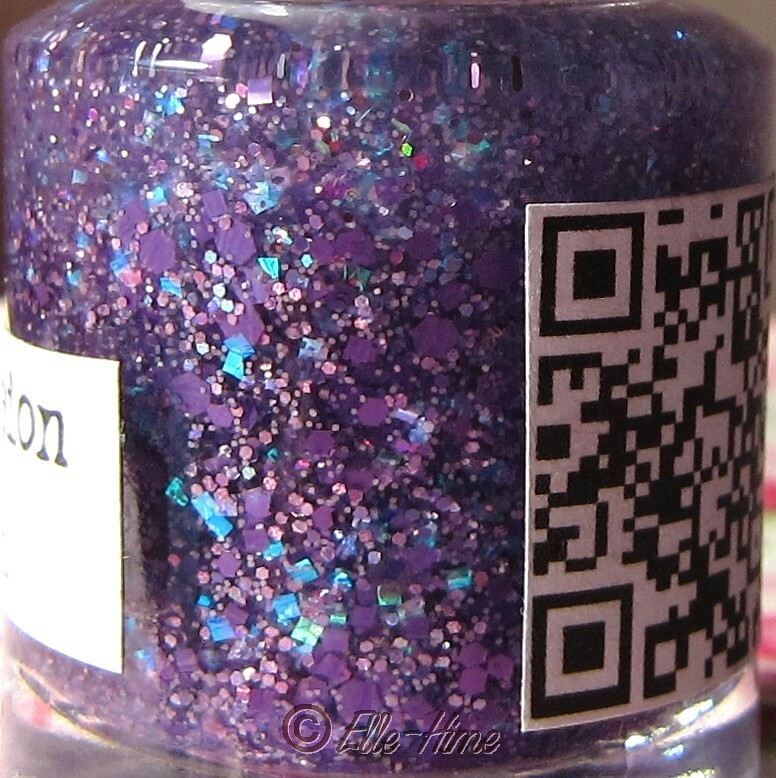 It doesn't look like a dupe of That Is So Fetch - it has the color shifting squares and lots of purple, but smaller/finer glitter that looks darker in the bottle. So keep these two choices in mind! I really, really enjoyed wearing this polish... Would you?